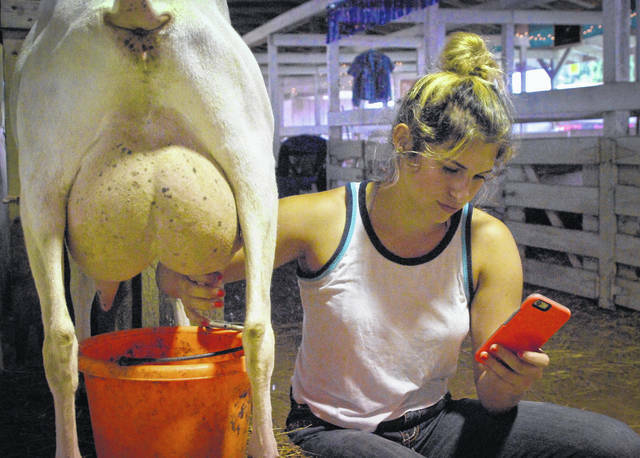 Jenna Johnson, 17, has developed the skill of being able to text on her cell phone and milk her goat, Buttercup, at the same time. 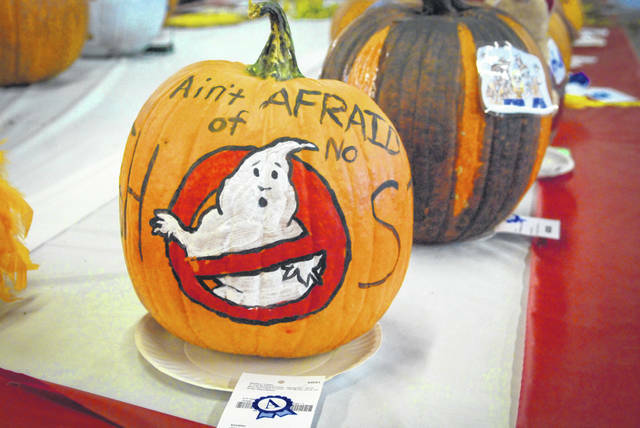 No one is afraid of ghosts in the Junior Fair Building where 4-H kids have displayed the projects they have put many hours of thought and hard work into. 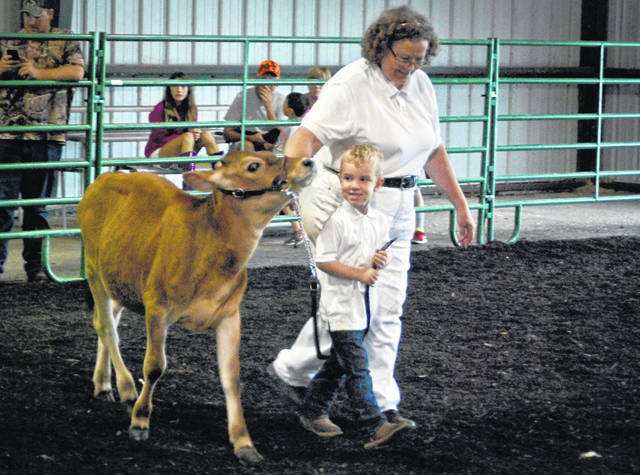 All smiles and loving the excitement of showing his cow during the Delaware County Fair, Jake Fleming walks into the arena with his cow, Sugar Plum, and a little help from his grandmother, Mary Fleming. 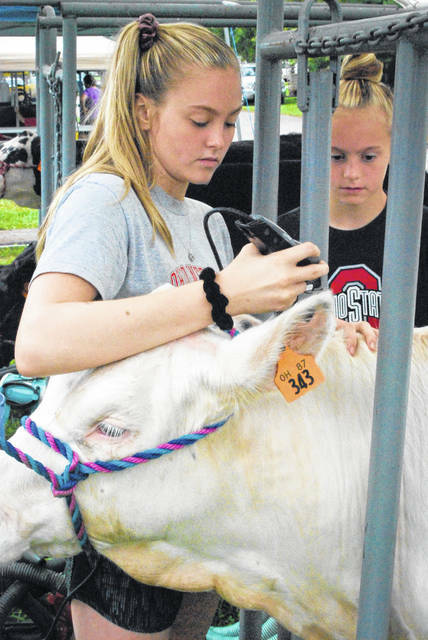 Sheridan Stults, left, carefully trims her steer as her younger sister, Sydney, supervises her so she doesn’t leave a nick that a judge might see. 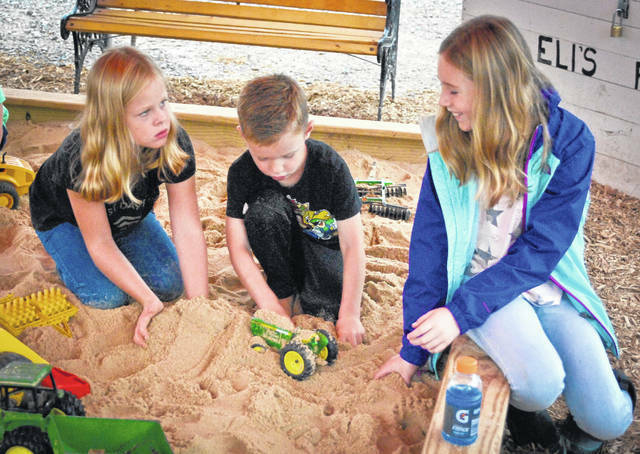 While ducking out of the rain, Maggie, Charlie and Sarah Adams, pictured left to right, of Sunbury, dig in the sand at Eli’s Farm, an attraction at the fair that gives kids a chance to play in the sand and use their imaginations. 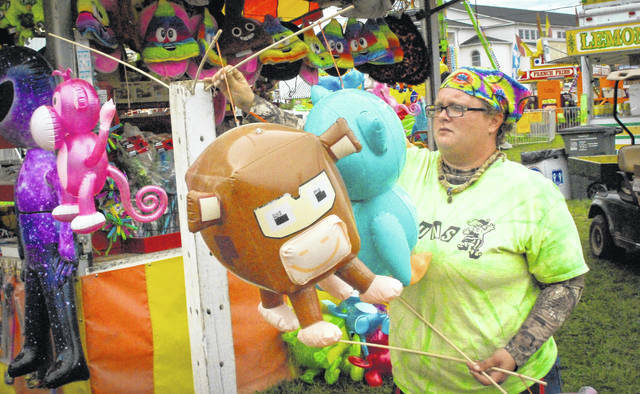 As the rain began to stop on Monday morning, Jessica Mason put out the souvenirs to sell at the Mr. Fun booth on the midway.